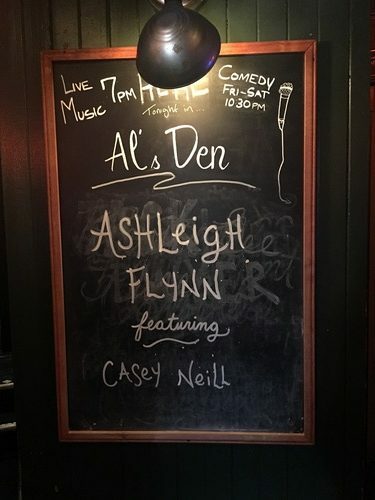 McMenamin’s Al’s Den Presents: Ashleigh Flynn’s Songwriter Extravaganza! Another fantastic choice for the artist residency program at Al’s Den! 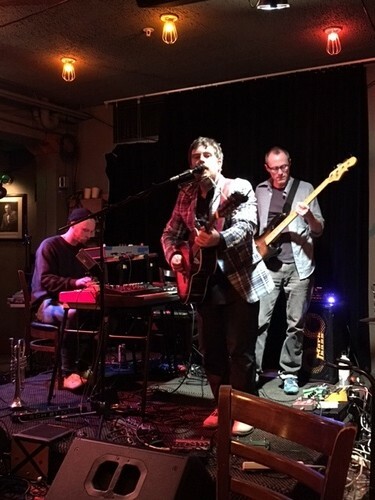 All week long, from Sunday night through Saturday night, Portland audiences have the chance to hang out and drink beer with musicians of depth and substance- it’s the true essence of community in music. 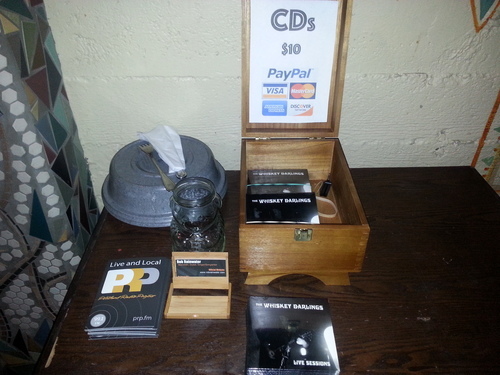 Thank you McMenamins! This program has featured artists from many musical backgrounds, but tends to focus on local flavor, with an emphasis on storytelling and sharing. It’s always a nice surprise to learn what a musician will do when given a week to tell their story! Who will they include…and how? 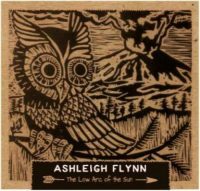 With Portland Notes focusing on local women in the music scene this month, I had to catch an interview with Ashleigh Flynn. This brave woman was biking all day in 80 degree weather – then walked into Al’s Den, set up her own sound system, grabbed a margarita, and proceeded to tell me about her residency, even as the audience filed in. I adore her openness and accessibility – to allow the fans to be included in every part of the evening’s process was generous and delightful. 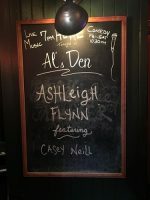 I was so thrilled that Ashleigh Flynn utilized this week’s residency to present what she called a Songwriter Extravaganza featuring some talented local singer/songwriters. 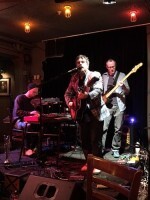 Every night, a different guest and a different collaborative song! Monday night’s guest was Nicole Potulsky – watching the interaction between these two filled my heart with joy. Nicole: “When do you want me to go on – 8-9?” Ashleigh: “Sure – or 8:10-8:55…” (Laughter) This week, Ashleigh invited Kathryn Claire to join her on the night of her CD release. 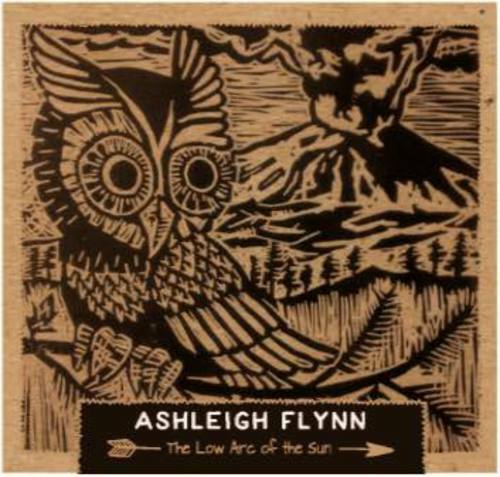 The Low Arc of the Sun will be available through Ashleigh’s website and on Soundcloud.. She also hosts Lewi Longmire, Kory Quinn, Virginia Cohen, The Ukeladies, Anita Lee Elliott, Annalisa Tornfelt, and Kate O’Brien! All shows are free, 7-10 PM. 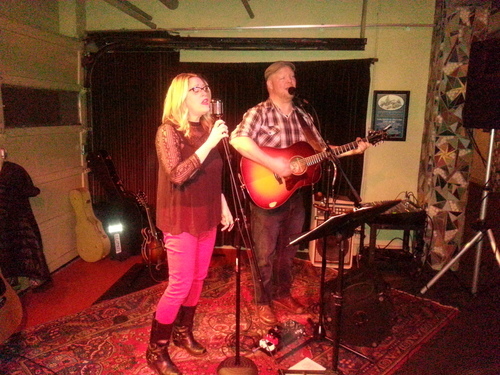 In our audio interview (below), Ashleigh and I gush over the value of live performance. Seeing Ashleigh live is an experience to be treasured. Her songs tell deeply emotional stories, and her connection with the audience is constant. 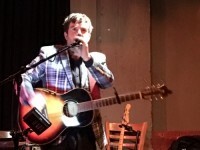 Sharp, clever, but warmly motivated humor eased the transitions between emotionally charged songs. 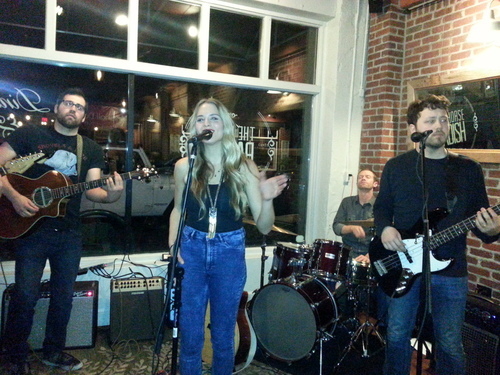 Her album was recorded live at Secret Society, and ties deeply to Portland. You can check out a few of her new songs in advance on Soundcloud. 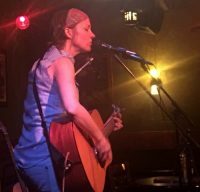 Please enjoy the photos and interview, and check out Ashleigh’s website for the new CD and upcoming shows! Rob Rainwater and Michele Van Kleef are both popular, local, singer-songwriters. 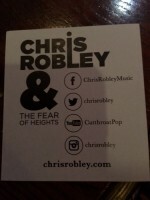 One evening last year, they were both booked for the same show! Instead of flipping for it, they decided to make it a duo songwriters-in-the-round kind of thing. That is when they discovered they both have a great love for singer-songwriter music of the 1960s and 70s. Not long after, the Whiskey Darlings was born and they instantly began crafting original music with the same vibe that brought them together. When I heard that they were booked to play a Valentine’s eve show at McMenamin’s Grand Lodge, I wasted no time getting it on my calendar. This was the perfect show to take my wife to. The room was full when we got there, so we sat in the overflow section. Normally, the dinner crowd leaves when the music starts, and the music lovers stream in. This night, nobody left! I have never seen this room as full and as quiet. The overflow section just grew. 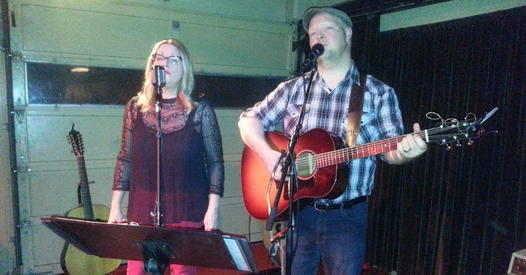 Michele and Rob did mostly original tunes with some covers tossed in. 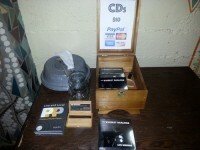 Simon and Garfunkel is providing much of their listening enjoyment and inspiration these days. And, of course, since it was Valentine’s weekend, they rolled out some lovely, sappy songs for us as well. The Whiskey Darlings are playing several McMenamins venues in February and March, before the Spring and Summer festivals begin, which they will frequent. If you’re looking for sweet downhome acoustic music with guitars, mandolin and stunning harmonies, be sure to look these guys up! 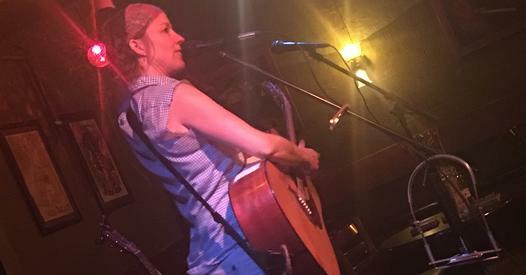 Growing up obsessed with finding the perfect harmonies, but shy and fearful about her ability to sing when a child, describes a significant conflict Haley Johnsen needed to resolve. You see, being the center of attention was both her worst nightmae and greatest dream. It was performing as a gymnast that gave her the confidence she needed to put herself out there. How fortunate we are she found that outlet. Since then, she made it all the way through to the top 24 of American Idol Season 11, and has written and recorded over 100 songs. 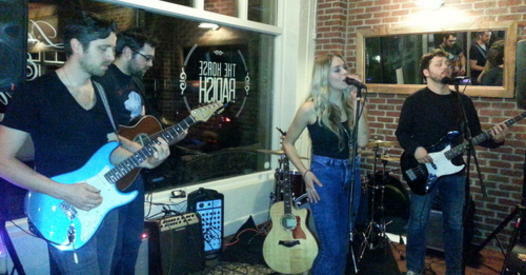 Haley played an acoustic show previously at The Horse Radish in Carlton, Oregon, but this time brought her four-piece band with her. Three of those band members are also singer-songwriters, so for the first hour we heard a couple of songs from each of them. 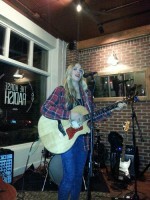 During the second hour Haley took to the stage by herself to play an acoustic set. (Consumer alert – Hearing her do “Somewhere Over the Rainbow” can cause spontaneous tearing.) The third hour, everyone was on stage and they pulled out all the stops. Haley Johnsen is passionate, powerful and humble. She recently released a 7-track EP “Through the Blue“, written by her and produced by Rob Daiker. This video is a live version of one of those tracks. Also, check out the other photos taken that evening. 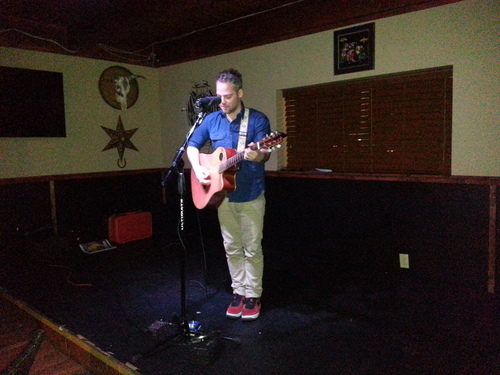 Tyler Stenson has enjoyed a Wednesday night residency at the 45th Street Pub, which is coming to a close on January 27th. These are very intimate sessions where he encourages requests, questions and comments. He likes it when a concert can be two-way communication. As you can tell from the video clip below, he is very open about his temper sometmes getting the best of him, especially with those he loves the most. One of Tyler’s greatest influences is Counting Crows. So much so that he’s assembled a 7-piece band for a Counting Crows Tribute, Saturday, January 30 at 8 PM at the Star Theater. After each member worked independently for a while, they had their first group rehearsal the night before. There were some kinks, but they easily worked themselves out. 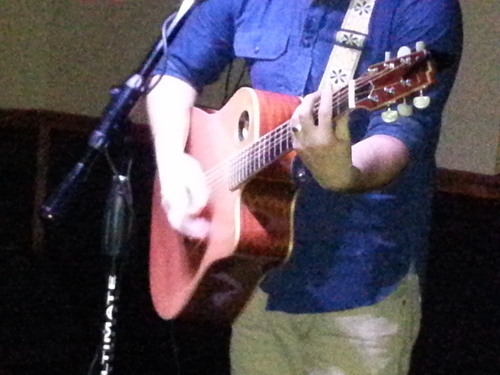 Tyler vowed not pick up an instrument all evening, opting instead to concentrate on delivering top-notch vocals. Get your tickets soon!